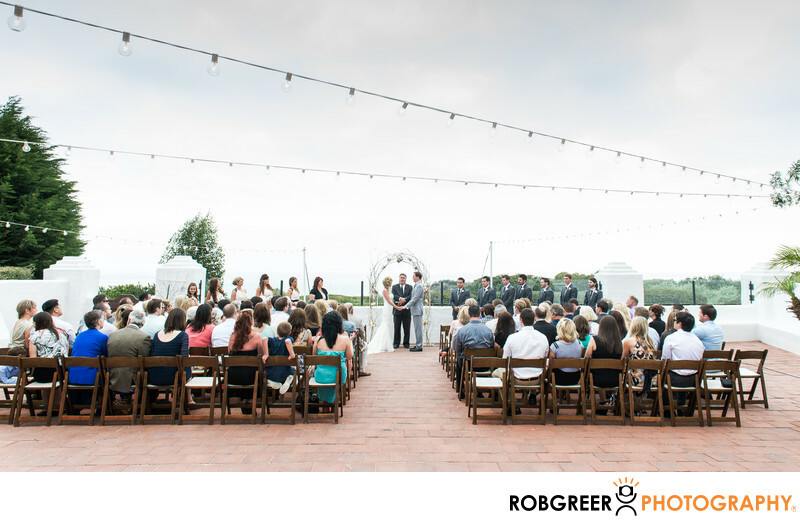 This photograph features an overview of a beach side wedding ceremony at the Historic Cottage at San Clemente State Beach. Historic Cottage at San Clemente State Beach is located at 225 Avenida Califia, San Clemente, CA 92672. Phone: (949) 366-8589. Website: http://www.parks.ca.gov/?page_id=24692. Location: 225 Avenida Califia, San Clemente, CA 92672. 1/125; f/6.3; ISO 400; 24.0 mm.